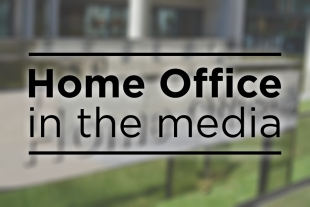 Today's Home Office related stories include reports on the Home Secretary’s speech at the Conservative Party conference yesterday in which he announced reforms to the Life in the UK test and new protections for forced marriage victims, and an article on numbers of customs staff employed for Brexit. There is widespread reporting on the announcement made by the Home Secretary during his speech to the Conservative Party conference yesterday that he will reform the Life in the UK test. The papers report that the so-called ‘pub quiz-style’ questions will be scrapped and a tougher test based on British values will be introduced. The Telegraph report comments from the Home Secretary’s speech in which he says that by putting British values at the heart of the immigration system people will be helped to integrate. It goes on to outline the Home Secretary’s commitment to introduce tougher English language requirements, claiming it was not good enough that more than 700,000 people in the UK could not speak basic English. Victims of forced marriage will be able to block their abusers from entering Britain in an overhaul of immigration rules, the Times reports. Women and girls who are coerced into marriage by their families will be allowed to give evidence in secret so they can object to their foreign spouses’ visas without fear of repercussions. The changes were announced yesterday by the Home Secretary during his speech to the Conservative Party conference. The Express reports that the UK is employing 400 fewer customs officers than the French Government as it prepares for Brexit. The paper says French ministers have revealed they are hiring 700 extra staff to check goods if there is no trade deal between the UK and EU. The Express also says the French are planning to install a large scanner to check freight in the Channel Tunnel. We have made significant progress in negotiations and are confident of securing a deal with the EU. However, it is the duty of any responsible government to prepare for every eventuality, including the unlikely scenario that we reach March 2019 without agreeing a deal. We are recruiting 300 additional Border Force officers to prepare for the day we leave the EU – these officers will be deployed by the end of the year. Separately, there is an ongoing campaign to recruit up to 1,000 Border Force officers to support future requirements.